The Australian Square Kilometre Array Pathfinder, or ASKAP, is CSIRO’s new radio telescope currently being commissioned at the Murchison Radio-astronomy Observatory (MRO) in Mid West region of Western Australia. The Wajarri Yamatji people are the traditional owners of the land on which the observatory lies. Construction on ASKAP began in late 2009 and was completed in 2012. ASKAP’s combination of fast survey speed and high sensitivity will allow astronomers to answer some fundamental questions about the creation and early evolution of our Universe, and to test theories of cosmic magnetism and predictions from Einstein's theory of general relativity. 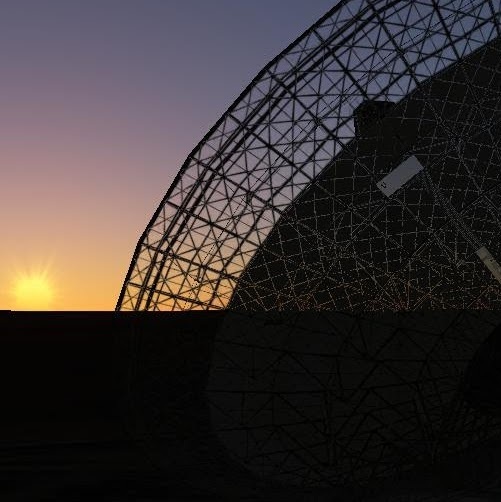 ASKAP will also be an important technology demonstrator for the international Square Kilometre Array (SKA) project, a future international radio telescope that will be the world’s largest and most sensitive. In addition, ASKAP's home, the MRO, was selected as the central site for major components of SKA telescope infrastructure in Australia. SKA telescope will also be deployed in southern Africa. The telescope was launched on 5 October 2012, becoming the world's fastest radio telescope. Scientists hope to use information from the array to survey the universe including the mapping of black holes and to explore the origins of galaxies.